Alcamo Granite And Marble is a full service granite and marble designer showroom. Alcamo is a family owned and operated business serving Manhattan to Montauk with superior craftsmanship for both residential and commercial clients. Visit our beautiful 2 acre outdoor stone gallery which features over 150 colors of granite and marble. 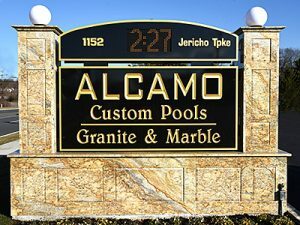 From inspiration to creation, Alcamo specializes in custom fabrication and installation of granite, marble, limestone, quartz other natural stone products. Alcamo has one of the largest color selections available. Alcamo takes pride in themselves on a fast turnaround time from template to install. 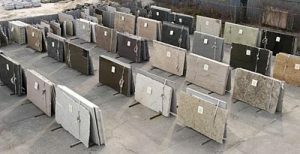 The family of employees at Alcamo thanks you for expressing an interest in our natural stone for your home or business. Please come to visit our beautiful showroom and stone gallery. We look forward to serving you.